All of the factors you need to consider and how you can find value runners. Speed maps have become the quintessential tool for any modern punter. The ability to know what the pace of the race could be and where your runner is likely to be in the run is important. Without doing a speed map we run the risk of our selection not getting the ideal run in transit. Therefore its chances of winning becoming all that much harder. For example, we have a selection that likes to lead and races best when they can find the front. However, it has drawn barrier one and two other horses that race in the lead are drawn out wide. Because they will not want to be caught wide they will attempt to cross the field and take up the lead. This means our selection in barrier one may have to work hard to hold the front. This makes them vulnerable at the end of the race due to the early pressure. It can also happen in reverse. Our selection is a backmarker and there looks to be little to no leaders in the race and it will also lack any sort of genuine speed. This makes it all that much harder for our selection to get over the top of them to win the race. So how do we go about making a speed map? It can be a very subjective exercise, but most professional punters will start with trying to find the initial leader of the race and then work their way back through the field. Alternatively they work their way from horses drawn the inside to the outside barrier to determine the running position of each horse. Some punters may even use a combination of both. There are various factors that you will need to assess when trying to pinpoint the running position of each horse and if this will suit your selection. Does your horse fly the gates and lead or does it race best back in the field? You need to determine where it will be in the run and if this suits the horse. The best laid plans can come unstuck after the barrier draw and can make life difficult for your horse to obtain the run it needs to win. Is your selection a leader and going to be able to find the front? Is your backmarker going to need too much luck in running from barrier one and will be shuffled back along the fence? Different tracks and distances bring their own scenarios when compiling speed maps. A race at Moonee Valley where it’s tight and constantly turning will mean jockeys will want to find the fence or be in the one-off position. 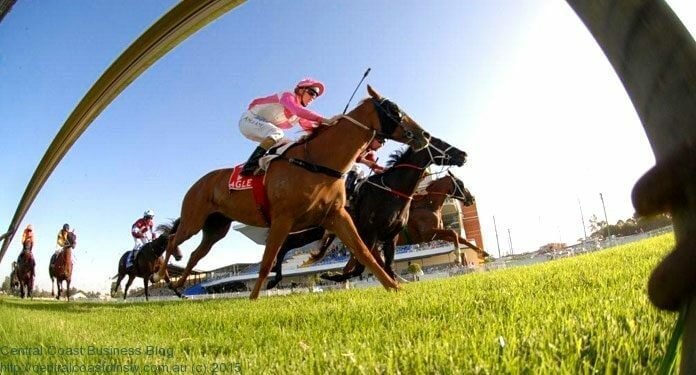 At Flemington the long straight mean jockeys will be happy to sit wider in the run. Your horse may also be able to lead over races of 1600m+ however if it’s in a race that is 1200m will it have the tactical speed to find its ideal position, or accept that it will be racing midfield? Your horse is a leader however it is first up, will it be fit enough to hold the lead? Will the trainer be taking a ‘softly softly’ approach to not give it too hard a run first up? A lot have their own style and we can almost predict how a horse will run based from the stable it’s from. A good example of this is the Waterhouse stable, they like their horses up on the speed. We can expect the jockeys to be aggressive from the gates and to hold a forward position or lead. We didn’t have our race preparations right and it’s very important. Speed maps and following the right horses and where to go on the different tracks. We’ve employed a fellow called Peter Ellis and that’s what he does for us. He does speed maps and walks tracks and all that sort of stuff. He’s a big part in where we ride our horses in races and what part of the track we go to. Much like trainers they have their own patterns in which they excel and they are often put on top to suit the horse’s style of racing. We have done our speed maps and have all the horses in the running positions, but how will this suit the way the track is playing? The best horse in the race may have drawn barrier one and we think it will be back on the fence. If they are struggling to make up ground and coming down the middle of the track is the best place to be then it will make it very hard for them to win. With so many variables and subjective opinions a good speed map can be a very valuable commodity to not only pace the race but also evaluate the position your horse will be in. You can determine if this will suit the horse you want to back or will it give chances to other runners you have previously overlooked. Personally I find a speed map is one of the very first things I do when assessing a race. I want to be on the horses I feel will not only get a good run but also run to suit its style and perform at its best. I would then do my form study on the horse and its rivals to place a price and find out where I am happy to back it. Give it a go next time you like a horse in a race and it might just be the difference in the bottom line of your punting day!